Price includes basic harness for homebuilt/experimental aircraft. Certified/production aircraft price is from $18,095 installed. 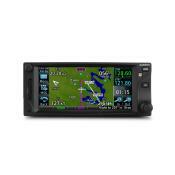 The New Garmin GTN 750 is the pilots choice for a fully capable GPS/NAV/COMM Multi-Function Display system. 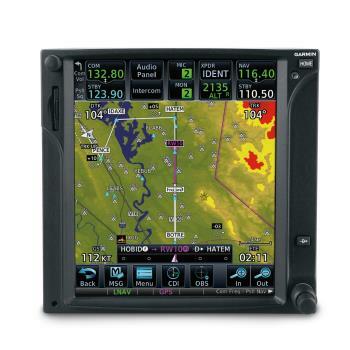 Featuring a 6 inch TFT touch screen display the 750 brings pilots an easy to read and operate navigation display system. With capabilities such as terrain mapping, graphical flight planning, in depth geo-referenced charting, traffic display, satellite weather and so much more it's no surprise that the GTN 750 is being hailed as the next great multifunction avionics display system. The touchscreen is clear, bright and very user friendly in order to provide the pilot with the best situational awareness possible. The 6.9 inch diagonal touch screen display system allows the pilot to slide the maps, menu's, and many other capabilities across the screen with just the swipe of a finger. With a full on-screen keyboard, way points and other hand entered data is still quick and intuitive. The GTN 750 also features raised bevels on the sides of the unit to be used as hand holds for getting accurate selections on screen when in turbulent weather. In addition to the touchscreen, pilots used to the standard knobs found on most display systems are able to take advantage of the two concentric knobs of the GTN 750. The touchscreen and capabilities make navigation simple while offering US Flight Charts, and optional Jeppesen style Geo referenced ChartView for accurate approach plates and procedures. Also with Garmin SafeTaxi, the GTN 750 lets you see geo-referenced runways, taxiways, FBO's, and hangars. 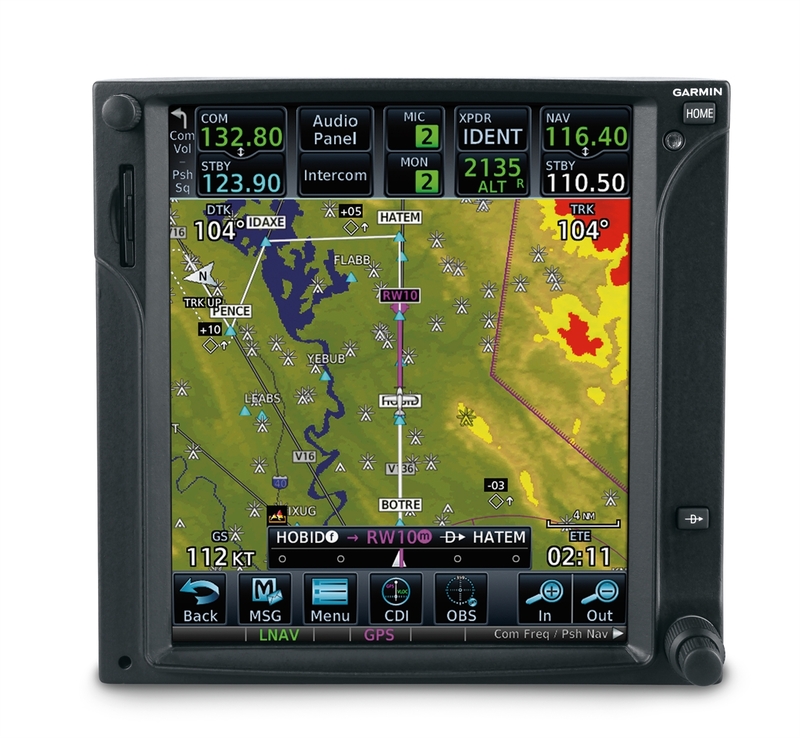 The Garmin GTN 750 offered by Pacific Coast Avionics has many new, unique features which bring the best in situational awareness. With just two taps of the screen pilots are right at all of the systems primary functions. Quickly panning across the screen is as easy as swiping a finger and changes to the flight plan can be done quickly with the new "rubber band" feature. The rubber band feature allows for pilots to grab any leg of a flight plan and move it to change deviation or ATC amendment to the current flight plan. All while on the fly! The GTN 750 allows pilots to load Victor and jet airways, quickly add recently visited or near airports as way points, and effortless "direct-to" destinations. Built in Garmin Us FliteCharts or optional Jeppesen Style ChartView gives pilots precise approach plates and procedures. With Garmin SafeTaxi the pilot has all runway, taxiway, FBO, and hanger information right at their finger tips. With a 15 channel GPS receiver that generates five position updates per second, enables the aircraft to fly GPS guided LPV glide path instrument approaches down to an incredible 200 feet. The GTN 750 also comes with complete VHF navigation capabilities with a 200 channel VOR/ILS with localizer and glide slope. When loaded with procedures the GTN 750 will preload NAV frequencies to switch to. Also auto select VHF NAV source for ILS approaches as well. An example is when combined with G500/G600 Flight Display the GTN 750 can fly fully coupled missed approaches which includes heading legs. Communication is a breeze with a fully certified 2280 channel VHF communications transceiver with either 10 watts of power or optionally 16 watts. The GTN 750 is pilot selectable to both 25 khz and 8.33 spacing. The pilot is also able to use standby and active frequencies by touching the on screen keypad. Another added safety feature added is the ability to just the hold down of the volume control to automatically dial in emergency frequencies. The built in terrain mapping allows pilots to get the best possible maps and views of the vicinity. With a GDL 69 Series datalink receiver the NEXRAD radar can be overlayed right on the moving display. Adding on the Garmin Traffic System can pinpoint other aircraft in the area. There is a front loading SD card reader for effortless database updates. 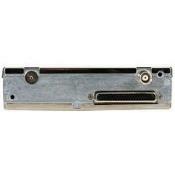 Just pop in the SD memory card into the front panel slot and the system updates the databases quickly and easily. The updates can be managed directly through the Garmin website. The GTN 750 is FAA certified.